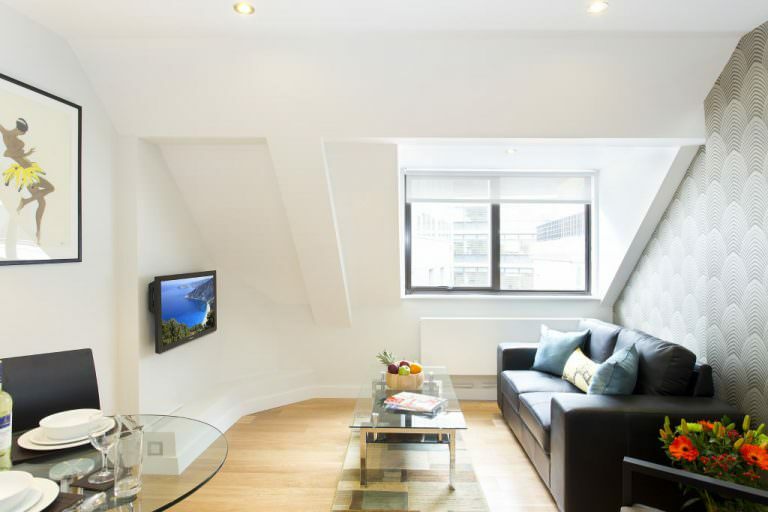 Set in a tranquil courtyard moments from Fleet Street and Fetter Lane SACO St Pauls - Red Lion Court is a stylish property perfectly placed for both the City and West End of London. This is an area steeped with history and beautiful architecture. Pass the Griffins heralding the beginning of the City of London and marvel at many historical attractions including the Royal Courts of Justice, St Paul’s Cathedral and moving west you reach the Aldwych the heart of Theatreland. The River Thames is in the neighbourhood, what could be better than a walk along the Southbank on a bright sunny day. Conveniently located between the City and the West End, it is just a 9 minute walk from Holborn (Piccadilly & Central lines) Blackfriars (Circle & District lines) and Chancery Lane (Central line) underground stations, in addition to this, City Thameslink station is even closer with trains crossing through London from north London to the south of England. Local buses also serve the area via Fleet Street, providing additional transport options while exploring London. 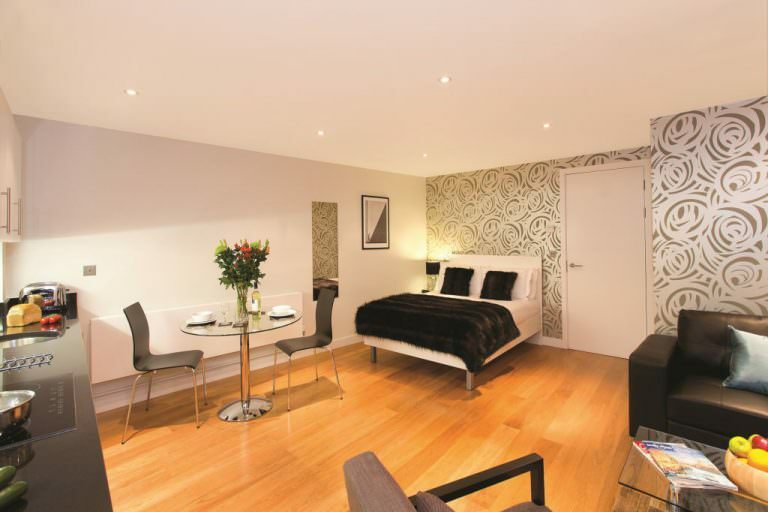 SACO St Paul’s Red Lion Court is part of the SACO portfolio which provides good quality serviced apartments all around London and these apartments are no exception. 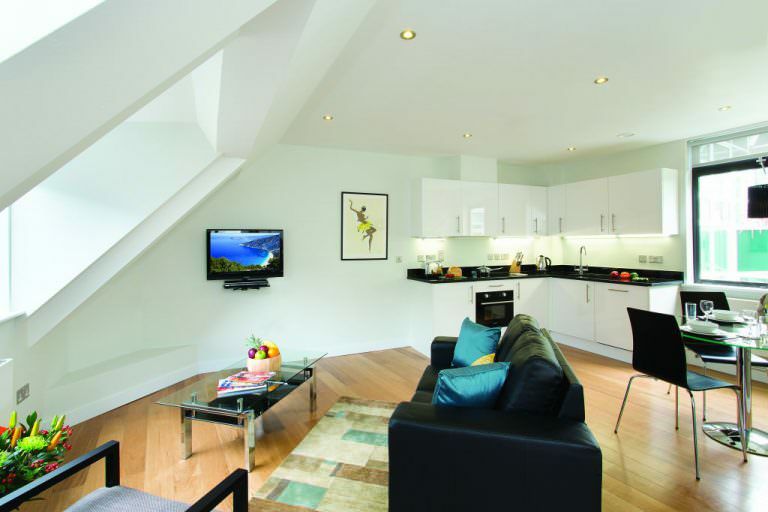 The selection of studio and one bedroom are comfortable and compact with everything needed for the perfect stay. 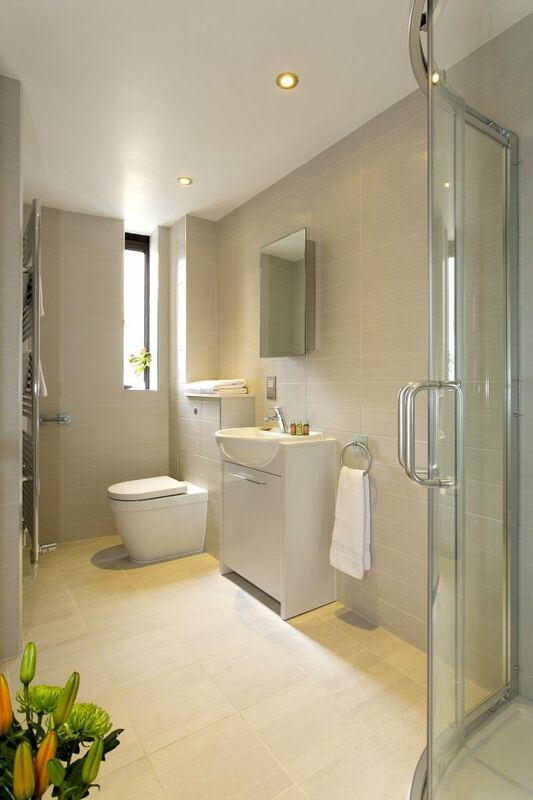 Well equipped kitchens, modern soft furnishings and contemporary bathrooms ensure that residents will easily settle into their home from home. 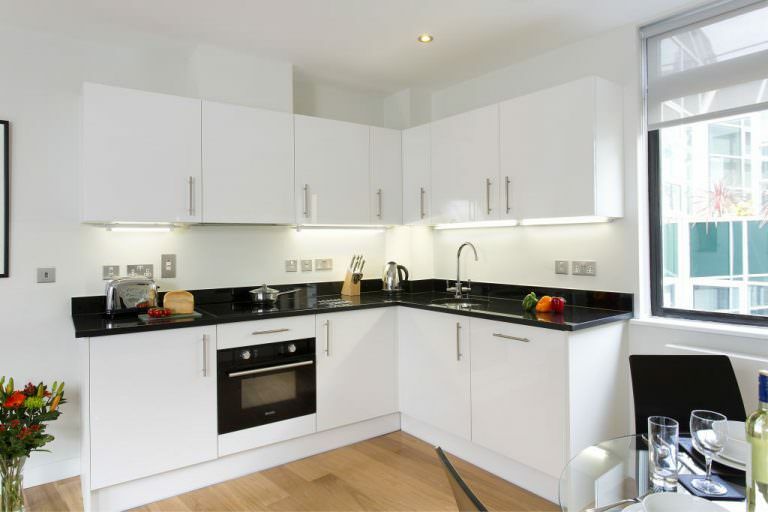 All SACO St Pauls accommodation of studio and one bedroom apartments are suitable for up to two guests. Stylish and with amenities including Wi-Fi connection; in room safe; washer dryer, dishwasher and television with freeview. 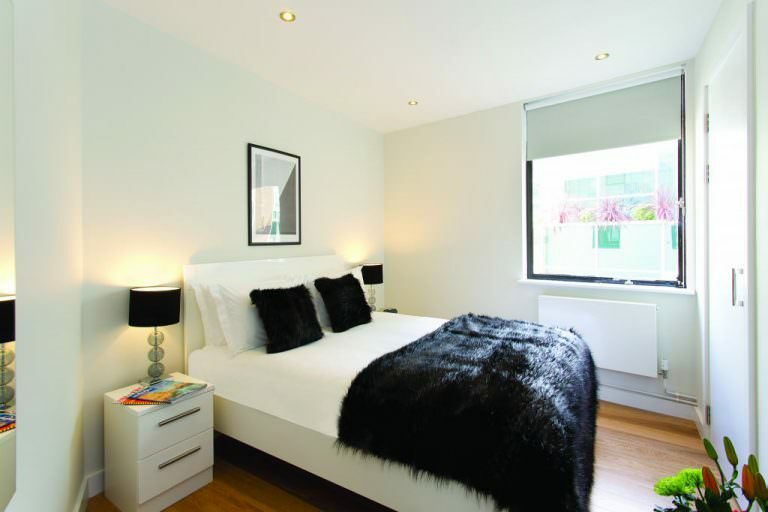 A SACO apartment is a perfect choice when staying in London. For complete peace of mind, the building is protected by a secure entry system.